The Tortoise Banker: How Do I Retire on My Portfolio? How Do I Retire on My Portfolio? Congratulations on all of your hard work! I'm writing this article in hopes that you may be curious or in need of instruction on how to effectively "retire" so to speak. So much of our lives are dedicated to the "accumulation" phase, and I feel not enough literature exists for folks interested in the method of using their portfolio to replace their income in retirement. This article is not for the prospective retiree with a significant pension. I'm catering this post to the investor that utilized tax advantaged accounts like 401ks and IRAs throughout most of their career, and by luck has wound up at a world class investment company like Vanguard. To keep things simple, I'm going to recommend an investor near retirement to implement either a 3 Fund Portfolio or a Target Date Fund. Vanguard has a great Retirement Income Fund which all of their Target Date Funds revert to when they reach the target retirement age. If I were this investor, January 1st of year one of retirement I would set up a monthly automatic deposit into my checking account from Vanguard for 4% of my total portfolio value, $4,167 or $50,000 annually. Throughout the year, I would continue managing to a budget the same way I did prior to retirement but without any deductions for savings. I would just live. Enjoy a nice meal. Go on a trip to see Grandkids. See Europe. Don't get me wrong, I know $50,000 won't buy a lavish, luxurious lifestyle, but if the investor has REALLY played their cards right and has a paid off house, this $50,000 combined with social security could offer a very comfortable lifestyle. With that being said, this method of a monthly direct deposit may not be for everyone. 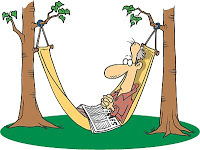 Retirement can bring a lot of highly variable expenses and income, such as relocation (selling or buying a property) medical expenses, death, divorce, lifestyle changes, etc. Some may be better off withdrawing throughout the year on an "as needed" basis, with an ultimate target pre-set at the beginning of the year. So, what do we do after the first year? I'm going to share with you all a link as a "full disclosure" attempt to let you know all of your options, and I'll close with the WHAT I WOULD DO recommendation. As you can see in that link, there is a lot of debate over "safe withdrawal methods" to assure a retiree never runs out of money, but I will be implementing a 4% withdrawal adjusted annually for cost of living increases or the "constant dollar" method. The reason I'll be doing this is I feel that the younger years in retirement (65-75) are the time to be active and try new things, and as time goes on the comfort of home will be more and more preferable to lengthy vacations and more expensive hobbies. But how can you continue increasing the amount you withdraw from retirement? Won't $1,250,000/$50,000 a year only last 25 years? Won't I run out of money? This is where your portfolio's investment return will kick in to preserve your buying power over time. Vanguard's Target Retirement Income Fund's allocation of 30% Equities/70% Bonds will likely at least keep you up with inflation, if not outpace it by a percent or two. This will (hopefully) allow you to increase your annual withdrawals by the cost of living to help buy the same amounts of goods and services as you could have bought in the previous year. ***Be prepared, however, if you retire INTO a bearish economy and experience several years of poor investment performance as you may need to "readjust" your withdrawals to a more conservative level... or at least curb your spending until things stabilize. There are several other variables that I won't go into here, but I'd advise each of you to check out the "Wiki" page on the Bogleheads.org forum and check out things like which accounts should be withdrawn from first (401k or Roth IRA) and how a Single Premium Immediate Annuity may fit will into an investor's retirement plan. With that, good luck. You've earned it! *This post was featured in the Financial Independence and Yakezie Carnivals! This is a good reminder to increase my retirement savings. I think that it is possible to live a great life post-retirement on $50K/year. While I'm not a fan of Target Date Funds for anyone older than say 45, I applaud the methodology. In working with a number of retiree clients it is this type of discipline and attention to detail during the withdrawal phase that is a key to success. There is no substitute for planning.